This is our latest Diagnostic equipment purchased from Snap On. Its a great addition to our workshop equipment that boasts amazing speeds and performance. VERUS Edge is from the Snap On range of diagnostic tools. It offers reliability with the newest diagnostic features. Its a combination fault code scanner and scope that has excellent vehicle coverage. It slim, light and fast to load making initial fault code reading quicker than the previous MODUS model. Booting in 5 seconds and sporting a big 8-inch display, it has instant vehicle ID and quick links to common procedures that gets right down to business. The tool in the right hands is an aid to correctly diagnosing vehicle faults. It has a guided component testing system showing how to test individual components. It eliminates guesswork because it shows the technician where to connect and what to look for. The new vehicle report system offers Global OBD-II Code reading and aids our workshop staff in getting to the bottom of the problem. Rather than using guesswork the VERUS Edge helps our staff deliver convincing estimates which gives greater customer confidence. Follow the link to our diagnostic page and read more about our 4 step procedure that we adopt to help save you money. The VERUS Edge tool costs £4700 plus there is a monthly license of £102 for the regular updates. Above all, this shows that we are a serious player with regards vehicle diagnostic repairs. Furthermore should our new VERUS Edge tool fail to communicate with your vehicle we have a back up. 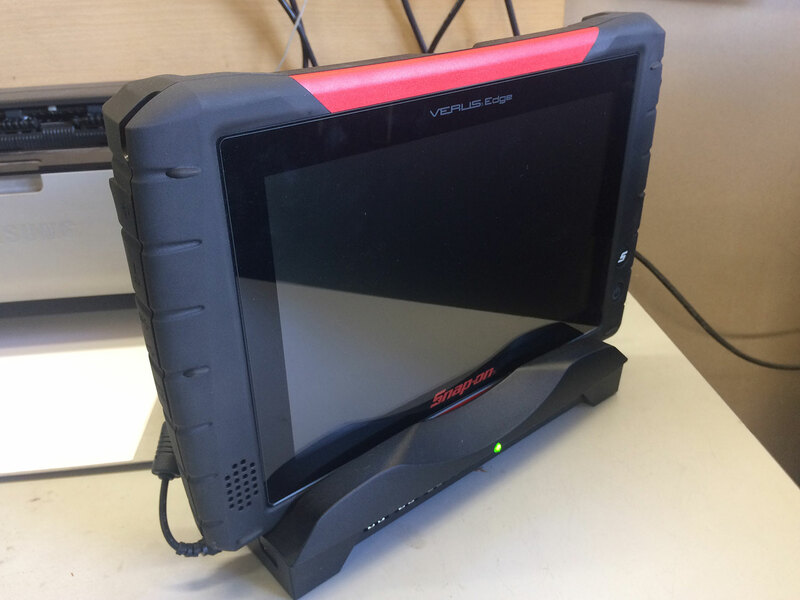 Our AUTEL Maxis scanner complements the VERUS and is another option open to us in getting your vehicle repaired. Should both these options fail, then we do not charge for this initial time spent on your vehicle. Consequently we will advice and recommend the best course of action for your vehicle.